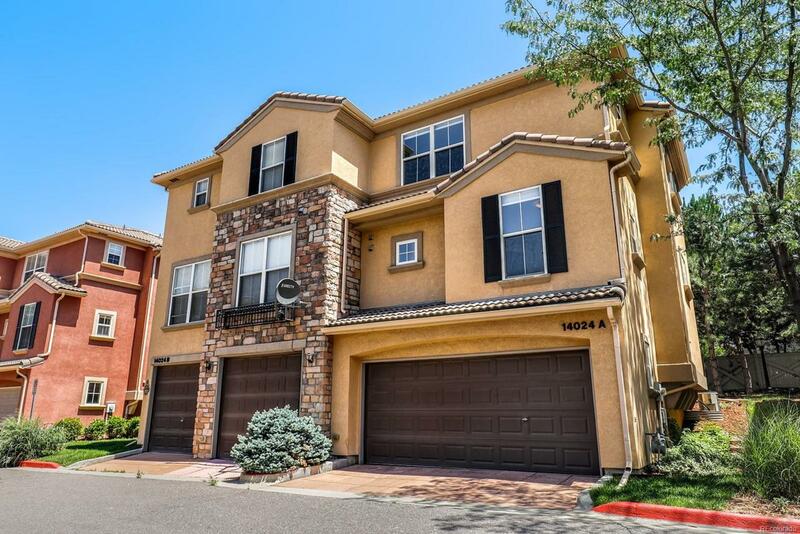 Wonderfully maintained 4 level townhome in a gated secure community. The front living room has soaring ceilings with tall windows and a gas fireplace focal point. There is newer carpet and paint throughout. The home is flooded with natural light thanks to abundant and large windows. The open eat-in kitchen looks out over the living room and features 42cabinets and a pantry. There is a main floor bedroom that could serve as an excellent office space as well as a full bath and a large laundry room with extra storage off the kitchen. Upstairs, the master bedroom is complete with a 5 piece en-suite that features a jet Jacuzzi tub, glass walk-in shower, and a separate water closet. Another bedroom with its own private bath completes the upper level. The unfinished basement provides extra storage space and connects to the attached two car garage. Blocks from Cherry Creek Reservoir and easy commute to downtown or DTC.